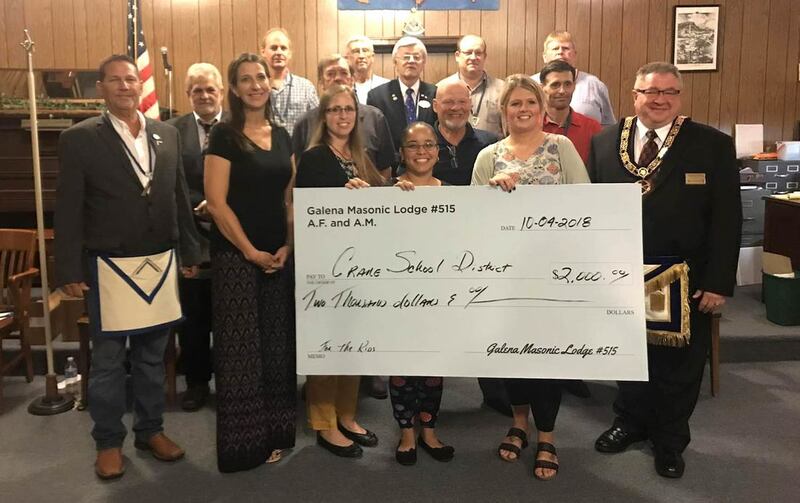 Galena Masonic Lodge #515 made a large donation to the Crane School District on Thursday, October 4. The lodge and The Masonic Home of Missouri donated $2,000 that will be used to purchase snack milk for kindergarten and first grade students. The school says the amount donated will pay for over 5,700 milks. Pictured above are members of the Galena Masonic Lodge with educators and staff from Crane Elementary.